More than £40,000 worth of Indian gold has been stolen from a house in Worthing, police confirmed. The burglary occurred in Wallace Avenue between 5pm and 11pm on Thursday 17 January, when the house was unoccupied, according to a police spokesman. An unknown quantity of cash was also stolen, said police. 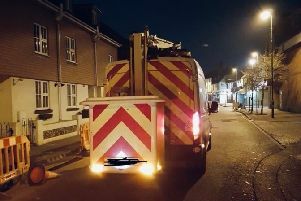 A spokesman said enquiries were ongoing and police said were keen to hear from anyone who may have been in the area at the time – specifically around the junctions of Gerald Road and Hailsham Road. Officers would also like to hear from anyone who may have seen any suspicious individuals or vehicles, the spokesman said. Anyone with information about the incident, report it online or call 101, quoting serial 1181 of 17/01.